Our traditional, two bedroomed cottage sleeps 5. Comfortably furnished, with its own swimming pool and a lovely wood decked verandah with sweet grape vines entwined. Our cosy retreat is the perfect, tranquil hideaway. 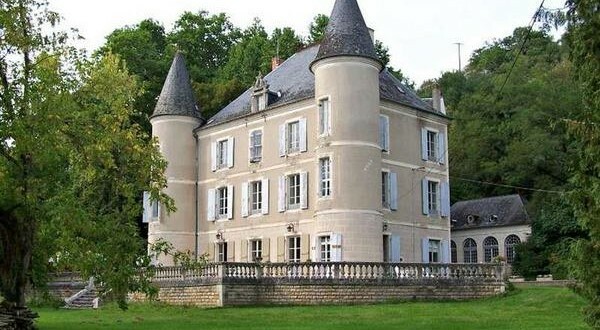 Manoir Seguinet is the perfect retreat for family and friend groups, sleeping 12 guests. 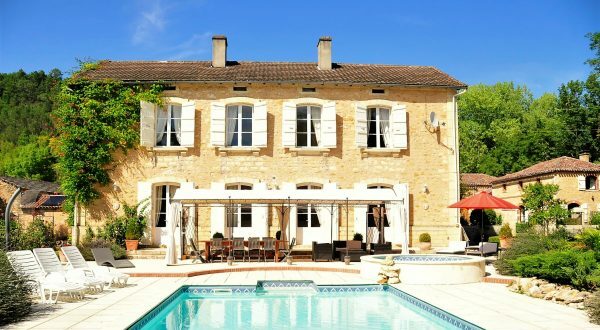 The 200 year old manor house boasts plenty of space and light, and a heated swimming pool. It has been exquisitely renovated with our guests’ comfort in mind. Our beautifully restored farmhouse sleeps six. Beautifully furnished and fully equipped, it’s set in idyllic spot overlooking the mill pond and courtyard with restored fountain. Relax in the shaded hammock out of the midday sun. Come and study painting at Le Seguinet, Art classes for all abilities. 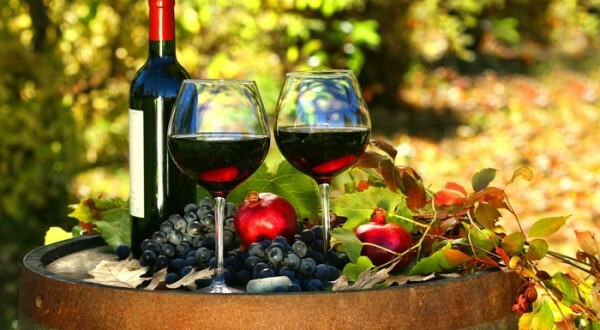 Wine Holiday in France, learn about the key regions and wines of France . 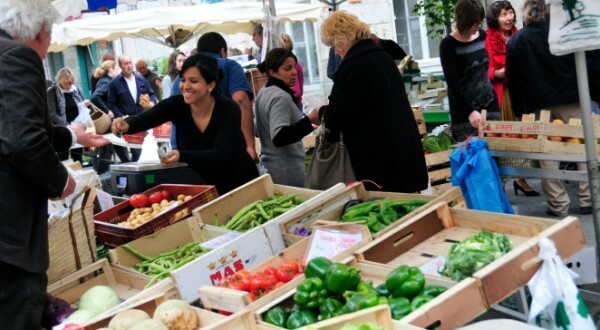 For a real taste of French life, visit the daily food markets, and the weekly antique “brocantes”.You’ll be spoilt for choice when it comes to eating out, whether you want a cheap and tasty ‘Menu de jour’ or Michelin star experience. 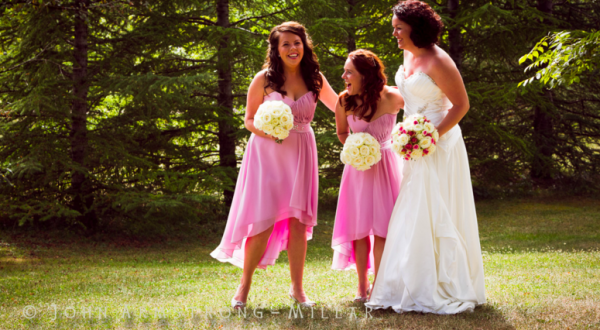 You couldn’t dream of a more elegant and picturesque location for your wedding. 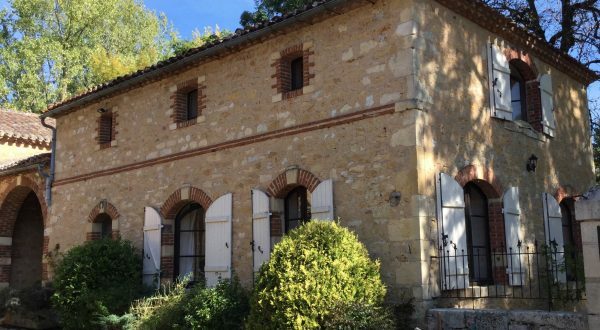 Le Seguinet can be rented as a whole, sleeping 23 guests. Space, light, comfort and idyllic gardens and patios, make it a picture perfect setting. 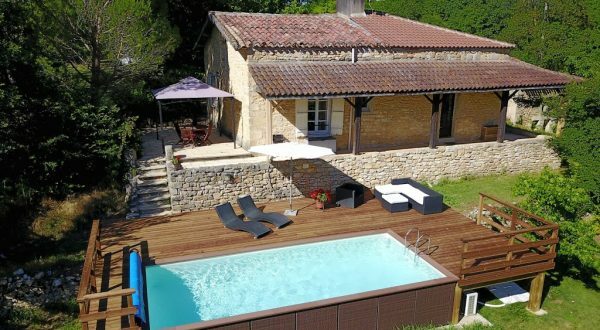 You are perfectly placed at Le Seguinet to explore the Bergerac and Bordeaux wine regions. Most of the region’s vineyards offer wine tasting and tours of the vineyards and cellars. We can recommend the best wines and book your tour. 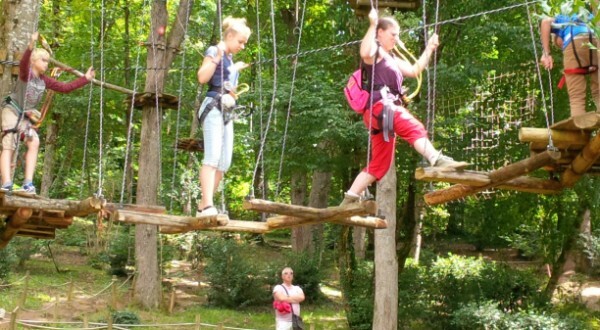 You can enjoy fun for all the family at a local fantastic tree-top adventure park, which also features a large natural swimming pool. Go walking, cycling, canoeing or horse riding to explore the beautiful countryside. 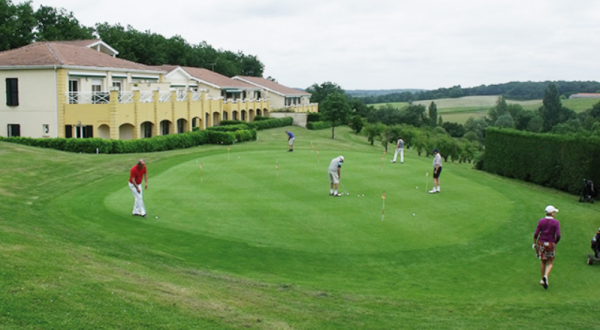 Play golf at one of our nearby courses. We recommend the Villeneuve Golf and Country Club.This undulating course offers 18 holes at par 72 with a backdrop of plum trees and orchards. A typically beautiful Lot et Garonne landscape. Immerse yourself in French culture with a visit to one of the many medieval fortified towns and chateaux of Lot-et-Garonne and Dordogne A great way to learn the history and culture of the local region. Great days out, come rain or shine! "Our personal diary all about the great places to visit and things to see and do during your holiday at Le Seguinet."